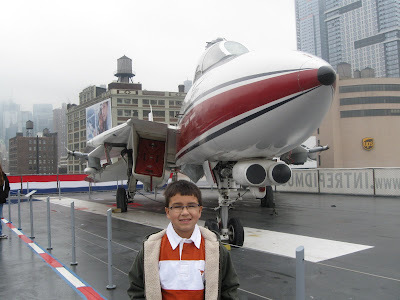 On Saturday, Cody and I went to the USS Intrepid. 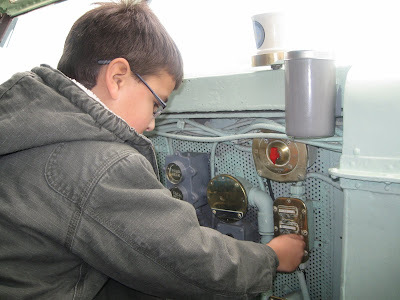 Cody has extreme interest in anything military, anything mechanical and especially anything that goes fast. We loved seeing all of the jets, helicopters and the inner workings of the air craft carrier, originally commissioned in 1943. 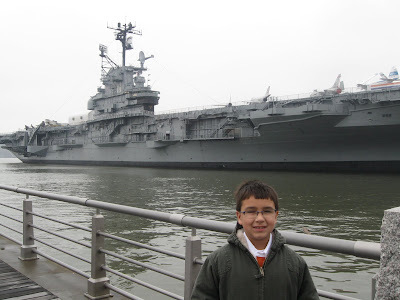 I've been looking forward to exploring the Intrepid for years but wanted to wait to go with Cody. 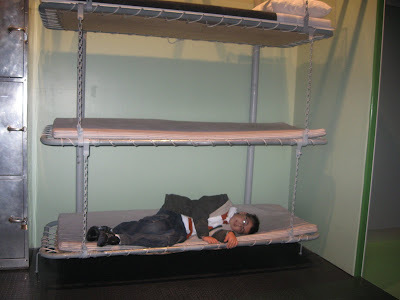 I'm a Marine brat and I love military history. I enjoy watching old military movies and one of my favorite movies is Midway, which is almost entirely shot on battleships and carriers. 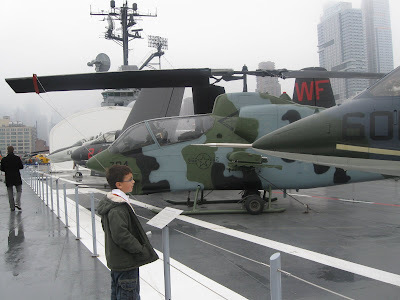 When I was a kid, and my dad was stationed at Camp Pendleton, he took us to San Diego to board a working carrier, but I can't remember which one it was! 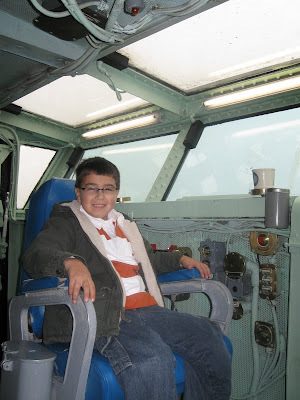 When Cody was two years old, we took a family trip to Corpus Christi, Texas, where we explored the USS Lexington, but it has nothing on the Intrepid. We're both looking forward to a return visit. 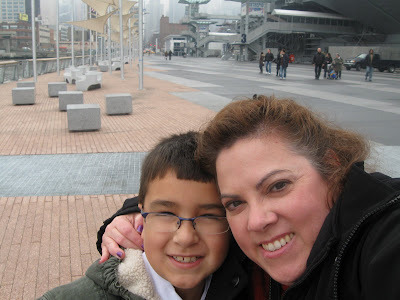 How sweet is this, and it's something he'll always remember sharing with you. Giving new meaning to the ENDLESS part of your pursuit. 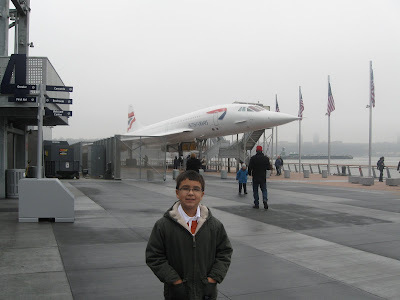 Someday, I've gotta make it to the Intrepid! I definitely have to put this on my list of things to do in New York. 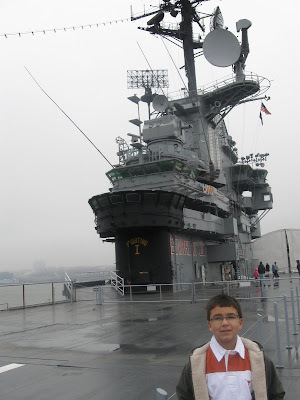 I toured an aircraft carrier years ago, in Norfolk, Virginia, and it was so interesting. 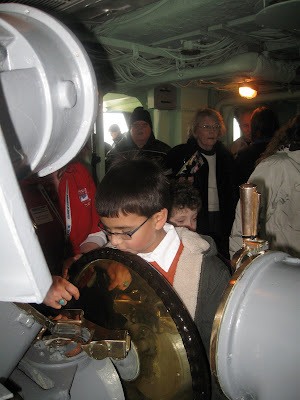 At that time, they used to have an open house (or open ship!) on the weekends at the Navy base and sailors would show you around. So much fun!